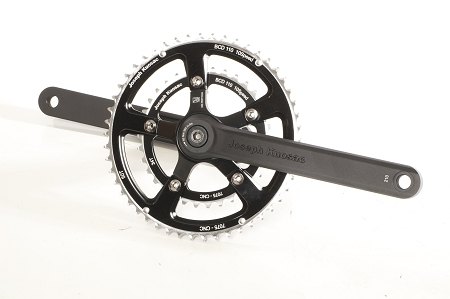 The Joseph Kuosac or JK road bike cranks are a great crankset for the tall rider, with lots of possible configurations. We are stocking 190mm, 200mm, and 210mm. These cranks are forged aluminum and hold up very well. They come with an ISIS bottom bracket and chainrings. 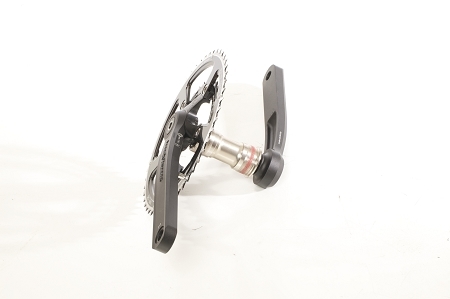 These cranks use an interchangeable spider for ultimate versatility. You can choose between 110bcd, 130bcd, and 130/74 bcd. Chainring options include 34/50, 39/52, and 30/39/52. Special orders can be made, and will be added to our stock orders. That means there may be a wait time for a size we don't carry. These cranks come from Taiwan, so we cannot order single cranksets for special orders. 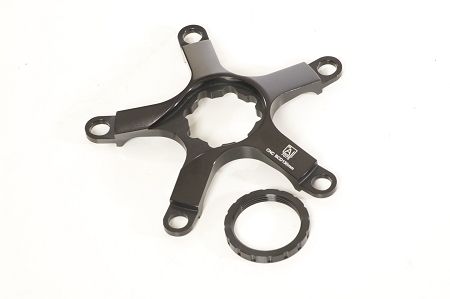 Jk Road crank spiders are compatible with most chainrings that use the appropriate BCD. 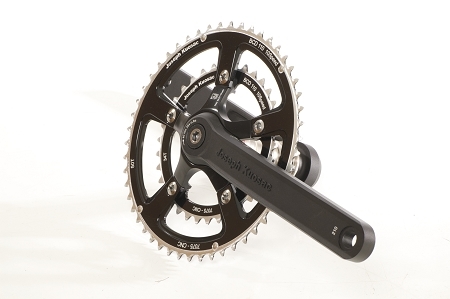 9, 10, or 11 speed chainrings are compatible. I am very tall with very long legs and in 2009 I broke one of them. When I got back to riding again I found I was a bit unbalanced and I had to go to a bike shop to get things sorted out. They suggested things would be easier if I had long cranks, and I had a triple crankset on my bike but in Australia I could not get a triple crankset with long cranks I could only get a double crankset. Despite trying every where, it was impossible. So then it resorted to trying on the Internet when I found Zinns Big and Tall Bike Shop and they said they would be getting in just what I wanted, I had to wait a few months, but when it arrived, I probably got my bike fitted up and got myself sorted out with seat adjustments and handlebar adjustments and went riding straight away and immediately noticed a huge difference to the way the bike handled. Less peddling to go faster than before and ever so much easier to bike up hills. I wished I'd fixed my bike up this way years ago but I didn't know it was possible nor that it would make such a difference.